It's finally warm enough for a cold-blooded person like myself to go camping! And that's exactly what my friends and I did to celebrate a birthday! The birthday girl chose to travel to Miryang, specifically for Hobakso Pond. Miryang is just a little ways northwest of Busan, so still very much in the southern portion of South Korea. Hobakso Pond is said to have been a spiritual place where people would come to pray for rain many years ago. We read that today, people still visit to enjoy the waterfall, the fairly-deep swimming hole, and the large slabs of white rock faces and boulders. 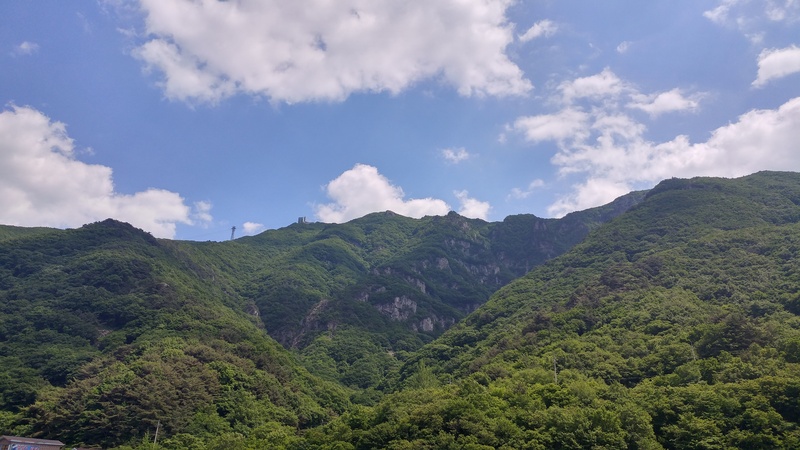 In this blog I will recap my camping trip in the woods and tell you why you should get a way from the city one weekend during your time teaching in Korea and do the same. The weather in Korea is heating up which means summer has arrived! 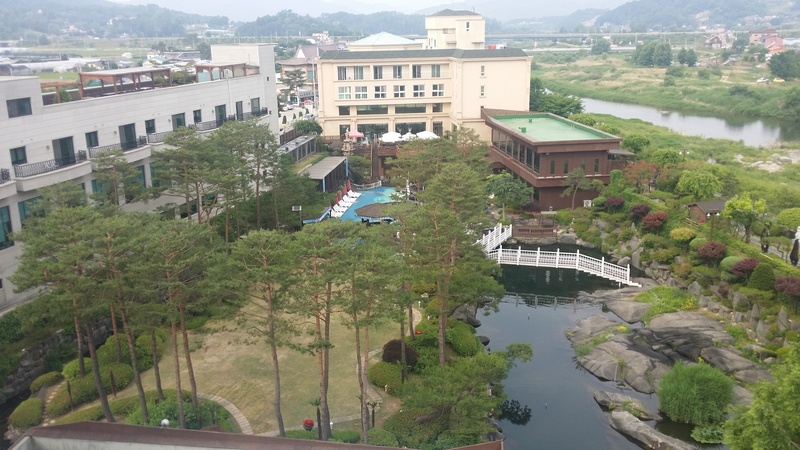 To celebrate the beginning of summer, one of my friends invited us to go to the popular Daemyung Resort in Yangpyeong. About an hour and a half away from Seoul, Daemyung Resort is located in Korea's countryside of Gyeonggi-do. Being able to make short distance weekend getaways is one of the great perks of teaching English in Korea. Weekends give most teachers ample time to vacation and relax. 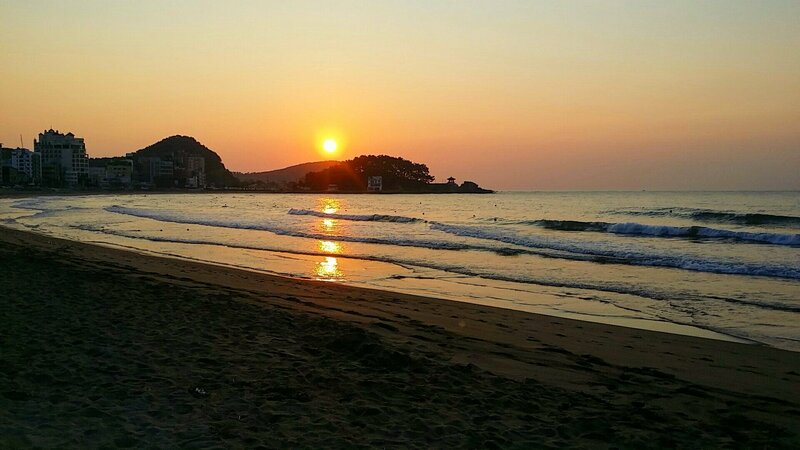 I spent last weekend camping on a beach about an hour outside of Busan. 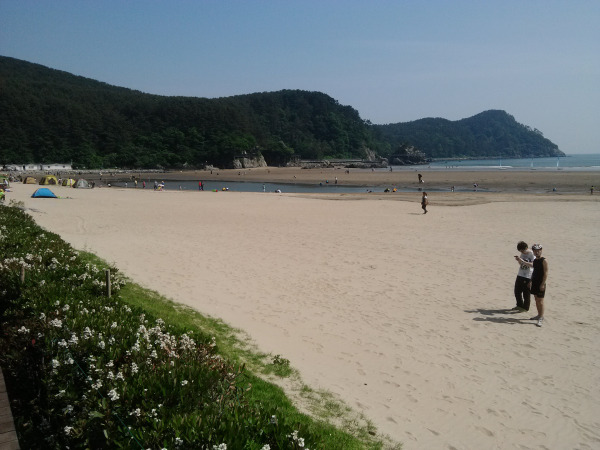 The beach is called Dadaepo Beach, and there is an International Rock Festival hosted here every August. I could see how that happened, as the sand was incredibly wide before it reached the sea. There was a ton of space to set up camp for the weekend. Although I am originally from Las Vegas, NV, where just outside the casino boundaries Burning Man is hosted, I've never actually entertained the thought of camping in the middle of nowhere. So, when a friend first proposed the idea of Korea Burn to me - "You bring all your own supplies like food and water into the woods and you share with everyone for a weekend!" - I was skeptical, and very concerned about how many water bottles I needed to bring/carry. But, after viewing some videos from last year's burn, I warmed up to the idea of contributing to a community camping experience. Little did I know, there was a lot more going on than just camping. Top 5 Must-See Spots in Incheon, Korea! When Aclipse helped me get placed at a Chungdahm branch in Incheon in November 2011, I immediately started doing my research. I was pleased to see that it's the third largest city in Korea and it's next door to Seoul -- meaning popping into the city for weekend adventures would be a cinch. 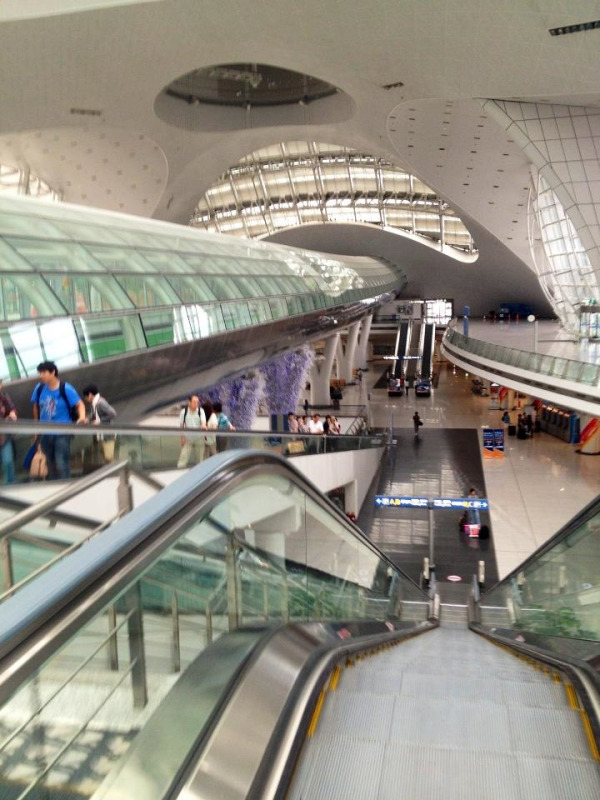 However, I quickly noticed that there's a serious lack of Incheon-coverage in the blog world. So, I present, in no particular order, my top 5 spots to check out in Incheon!